Never mind they say absence makes the heart grow fonder. However the season is slipping away. Even the thought of getting out in the garage to sort things out and tidy up bits and pieces is daunting in this cold spell. I’m still thinking that the chub will be feeding but only just! Later in the week I’ll be out on the banks of the Bristol Avon looking at putting that bend in the rod. I’m trying to organise a Xmas session for some guy’s in the Great Somerfords Fishing Association on the Bristol Avon. The conditions don’t look good. However I’ve had a good 6 or 7 who will brave the conditions. I think we will have a roving match and give prizes for the largest fish caught and for the most fish caught. It will be just great to get out over the Xmas period. Years upon years ago we used to have a pike competition to remove them from the trout stretches where we would kill the pike. Then I got the EA to collect the fish and transfer them to other places. However now we don’t have a competition or kill any pike, so there is a good few heavy weights in the river. I’ve had a good few twenties over the years which is great considering that the river is a chalk stream at this point and more often or not you see the pike take. I’ve had quite a few people get very excited when they have seen this. 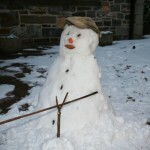 More snow predicted later in the week will only enhance my snowman fisher appearance. I asked him what he caught, and he gave me a chilled look! 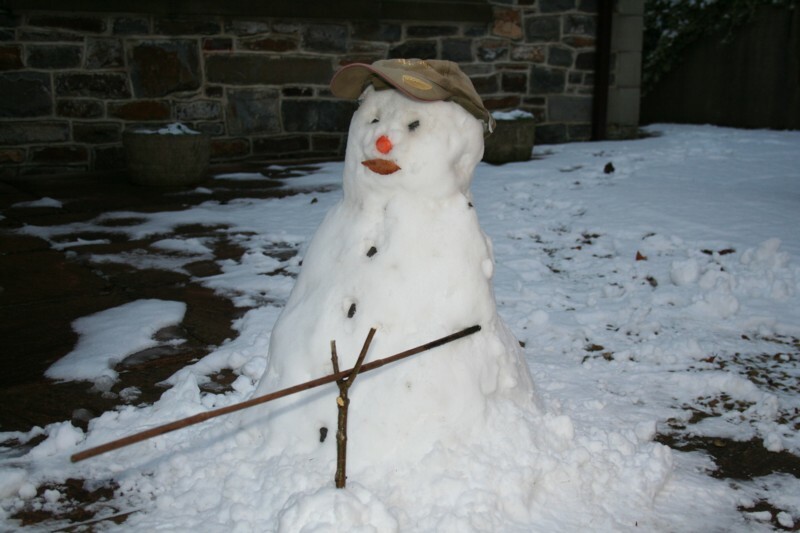 This entry was posted on Sunday, December 19th, 2010 at 7:29 pm	and is filed under Uncategorized. You can follow any responses to this entry through the RSS 2.0 feed. Both comments and pings are currently closed.